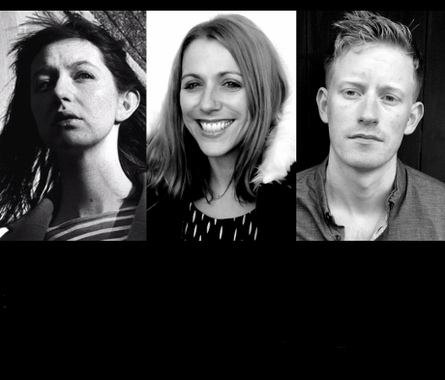 As part of Wild Atlantic Words, Castlebar's new literary festival, the Linenhall Arts Centre presents Young Mayo Skins, an evening featuring three of Mayo's exciting young literary talents, Colin Barrett, E.M. Reapy and Sally Rooney. Colin Barrett is the author of the multi-award-winning short story anthology Young Skins. His work has been published in The Stinging Fly, Sharp Sticks, Driven Nails and Town and Country, and is winner of the 2009 Penguin Ireland Prize, 2014 Frank O'Connor International Short Story Award, 2014 Rooney Prize for Irish Literature and 2014 Guardian First Book Award. Elizabeth (E.M.) Reapy was born in 1984. She was featured in The Long Gaze Back: An Anthology of Irish Women Writers (New Island) and her debut novel Red Dirt was published in June 2016. Sally Rooney was born in 1991. Her writing has appeared in Granta, The Dublin Review and The Stinging Fly. Her first novel, Conversations with Friends, is forthcoming from Faber & Faber in June 2017.